Puzzles are fun, challenging and help develop concentration and memory functions. 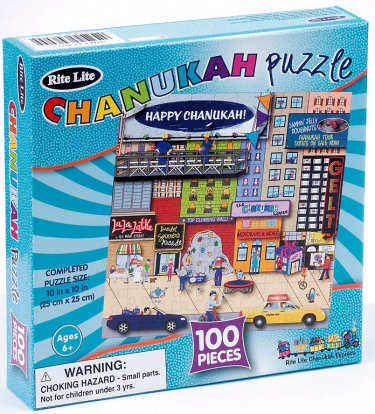 Puzzle lovers of all ages will enjoy the challenge of piecing together this festive Chanukah scene. Completed puzzle measures 10" x 10". 100 pieces.